What is a chimney fire ? How the CSL works ? THE BEST WAY TO KEEP YOUR FIREPLACE OR WOODSTOVE IN GOOD CONDITIONS. 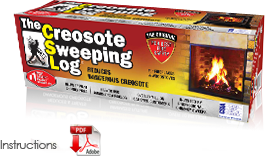 Wheter you use hardwood, softwood or pressed logs, flammable creosote and tar build up in your fireplace or woodstove flue. This can lead to a chimney fire. CSL has the active minerals that help dry out the creosote while you are enjoying a relaxing evening by the fire. 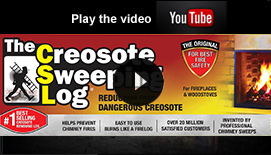 Reduces new creosote build-up, making your next fire safer.